Sooner or later, every homebrewer brews a batch of beer that doesn’t quite live up to expectations. Sometimes, a batch falls so far below the mark that a swirly sacrifice is rightfully demanded by the insatiable porcelain god. Other times, the beer can be saved. So let’s talk about those other times. Those times when there’s still hope— when it’s still possible to bring your beer back from taking that final step into the light. Let’s consider three cases in particular: infected beers, stuck fermentations, and meh beer, and then three corresponding solutions to each problem. Fair warning: the better the beer you’re starting with, the greater the likelihood of successfully salvaging said beer. As far as brewing a quality beer goes, there are plenty of best practices including using fresh ingredients (malt, hops, yeast, etc. ), following careful sanitation, fermentation, and recipe procedures, and a few other recommendations you can find on the Top 40 Ways to Improve Your Homebrew article. Yes, in every case where your beer doesn’t turn out as perfect as intended, it’s a good idea to go back through your process and figure out how to improve it. But this article isn’t about woulda, shoulda, coulda nor are any of the solutions discussed here intended to be taken as a way around trying to brew the best beer possible from the very start. The aim here is to talk about what can be done on those hopefully rare occasions where you find yourself with less than satisfactory homebrew. For practical purposes, an infected beer simply means that some uninvited dinner guest (usually wild yeast and/or bacteria) has gotten into your beer and started to chow down, potentially altering the brew’s intended character. To be clear, an “infected” beer is a matter of prospective. For example, if you were intentionally using 100% bacteria to ferment your beer and somehow a common ale yeast found its way into your beer, your beer would be “infected” with common ale yeast; sort of the same way roses in one person’s garden may be considered weeds in someone else’s. Semantics aside, sometimes it’s possible to make an educated guess as to whether a beer fermented with common brewer’s yeast (Saccharomyces cerevisiae or Saccharomyces pastorianus) is “infected” with some other unintentional microorganism by simply looking at the beer in question. 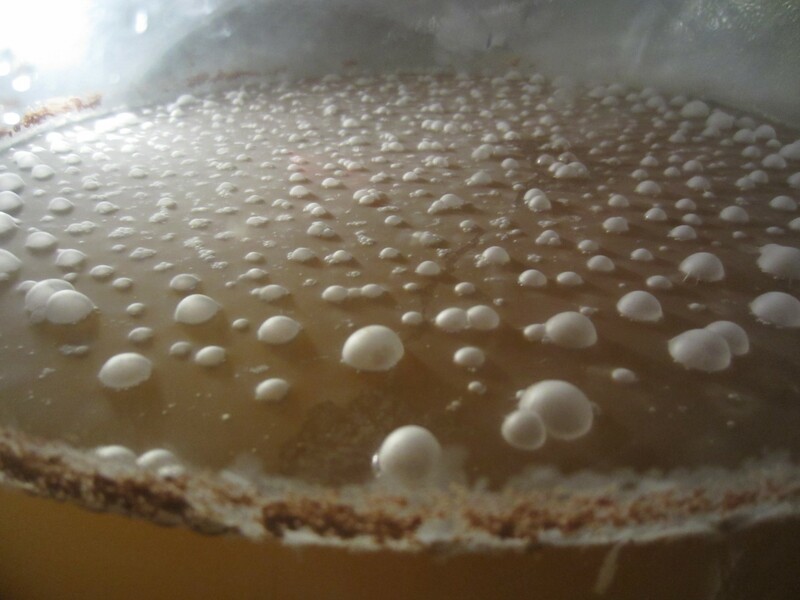 For instance, common souring bacteria like Lactobacillus or Pediococcus and sometimes yeast like Brettanomyces (Brett) can form a pellicle (protective barrier) on top of beer which often looks like a layer of off-white or tan stationary bubbles covered with chalk dust or powdered sugar as in the image below. Other times, it’s harder to tell if a beer is infected based on appearance alone as with the picture below of an uninfected Imperial IPA fermented only with Safale US-05 (formerly called US-56) which formed “yeast rafts”, or clumps of flocculated yeast, floating throughout and on top of the beer in the fermentor. Needless to say, an infection usually suggests that you need to tighten up your cleaning and sanitation procedures, being particularly mindful of anything that comes into contact with your wort. With respect to bacteria-formed pellicles, the earlier an infection is caught, the better chance you may have of minimizing the effects of the infection by lowering the temperature of the beer. But, and this is critical, EVEN IF you find a full-blown pellicle formed inside your fermentation vessel, it’s not recommended that you automatically dump your beer. You have to smell and taste your beer first (pull a sample using a sanitized wine thief or turkey baster) in order to make the best decision. Depending on the stowaway bacteria or wild yeast, your beer may or may not turn sour or funky. 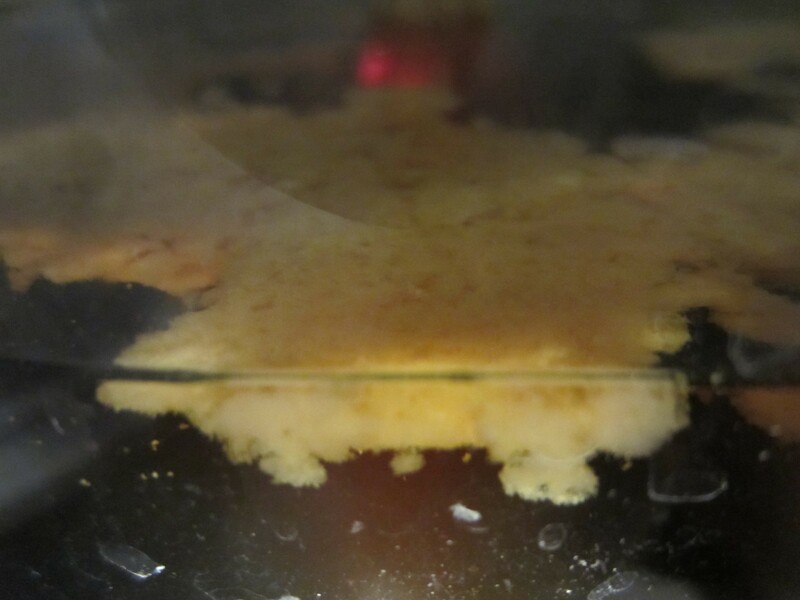 For example, the image of the Lactobacillus pellicle in the photo below occurred after pitching a mixed culture of yeast and the lactic acid producing souring bacteria, Lactobacillus. Even after months of aging with a visible pellicle and then a year of bottle conditioning, the beer never really turned sour. In fact, it’d probably be an overstatement to say that the beer was vaguely tart, but it was nevertheless exceptionally refreshing and delicious with no hint of an off-flavor. Naturally, it may be helpful to attempt to deduce what type of pellicle-forming microorganism(s) you’re dealing with in order to respond accordingly, although 100% positive identification would require an appropriate microscope and proper training, assuming the microorganism(s) in question has already been identified and recognized by science. 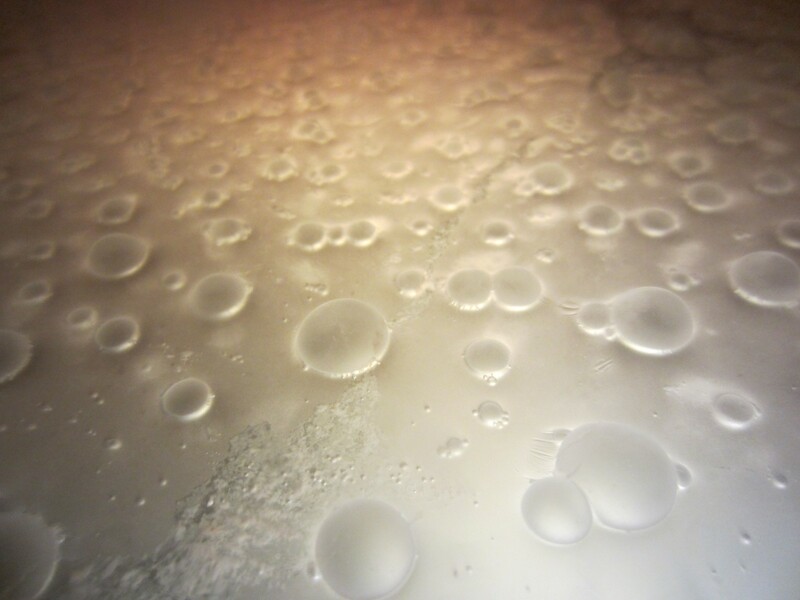 Three common safe-to-consume pellicle-forming bacteria are Lactobacillus, Pediococcus, and Acetobacter, and the yeast Brettanomyces may form one as well. Although it may not be possible to identify the mystery bacteria or yeast by the particular appearance of the pellicle, smelling and tasting the infected beer may potentially narrow things down, especially if you know a little bit about how the different microorganisms can behave. Lactobacillus is probably the least influential of the bunch, often adding nothing more than mildly tart amounts of lactic acid over the course of about a month. Pediococcus, on the other hand, typically takes a longer time to ramp up lactic acid production compared to Lactobacillus (months versus weeks), but produces lactic acid over a longer time period and the sourness is often increasingly more noticeable than with Lactobacillus. But even more telltale of Pediococcus is the buttery byproducts (diacetyl) that most strains produce. If you like your new buttermilk beer, roll with it. But if you’d like to remove the butter and leave the sour, try inoculating your brew with a vial of Brettanomyces (Brett) yeast which should clean up the diacetyl for you. In addition, some strains of Pediococcus may eventually develop slimy, viscous, gelatinous “ropy” strands in beer, which can also be eliminated in a few weeks after adding a culture of Brett. Speaking of Brett, if you see a pellicle, you may be able to further speculate on the presence of Brettanomyces based on the aroma. Depending on the strain of Brett, and there are quite a few, you might detect aromas of pineapple, mango, apricot, peaches, pear, mustiness, or horsiness and the taste may be tart or not. Although with significant quantities of oxygen, Brett can produce acetic acid as well, but not as easily and quickly as Acetobacter. Acetobacter is probably the most potent souring bacteria which can form a thin white film of a pellicle (few if any bubbles), but is easier to identify by its distinctive vinegar (acetic acid) aroma which can develop within a week, usually after primary fermentation is complete. Acetobacter thrives in warmer temperatures (75 – 85° F) and in oxygen-rich environments. Early detection is the best defense against Acetobacter which if left unchecked will continue to convert ethanol into acetic acid, potentially leaving you with an intensely vinegar-y beer. Luckily, the majority of beer styles are fermented below 75° F, but reducing the temperature and ensuring that your fermentor is properly sealed are two actions that can reduce the effects of Acetobacter. It should also be noted that bacteria and Brett do not always form a pellicle (they only do so in the presence of oxygen), which means your beer could develop an infection with no visual indicator. To be clear, the presence of a pellicle does not mean that your beer will make you sick, nor does it mean that the character of your beer will have changed for the worse. And as discussed, depending on the pellicle-forming microorganism in question, the beer may not even become tart, let alone sour. Lastly, if you notice an unexpected pellicle, there may be more than one type of bacteria and/or Brett at work. If you’re uncertain about the type of bacteria (or yeast) forming the pellicle on your beer and you happen to be an adventurous sour fan, why not double down and add a culture of a pre-mixed bug blend like WLP 665 or dregs from one of your favorite unpasteurized sour beers to your existing beer, wait three months to a year and you might have created a most epic accidental sour. If this is your first sour, just remember that unlike a yeast krausen, a pellicle may never fall, so when you’re ready to rack your beer away from an existing pellicle, simply pierce the pellicle with your auto-siphon and proceed as normal (just try to leave the pellicle behind when racking underneath it). If you decide to let the infection run its course, keep in mind that bacteria like Lactobacillus and Pediococcus may consume sugars and reduce the gravity of the beer slowly over time (weeks and months, respectively), so you’ll want to take gravity readings until you notice no change in gravity after a three day period (five days to be safer), particularly if you’re bottling (in order to avoid potential bottle bombs). If you don’t want to find out where the unknown bacteria or yeast in your beer may be taking you, smell and taste your beer, and if it tastes good enough, you may decide to keg or bottle the beer and drink it immediately. If bottling before the bacteria or wild yeast has finished fermenting your beer, the microorganisms may very well still be producing excess CO2 in your bottles and you are taking the risk of potential bottle bombs. So to mitigate that risk, as soon as your bottled beer is carbonated to your liking, refrigerate the beer and keep it cold as bacteria and yeast tend to slow the rate of metabolism at lower temperatures. Whether you decide to drink the infected beer quickly or let it age in the fermentor, it’s recommended that you buy a new set of whatever plastic and vinyl equipment that comes in contact with the infected beer so as to avoid accidentally contaminating future batches of beer. If you notice black, green, or fuzzy hairy patches growing on your beer, mold is the likely suspect. A couple cases where mold has been known to crash the party are when unsanitized fruit or wood is added to the fermentor. Now, what to do in the case of mold is somewhat controversial. John Palmer advised in his book How to Brew, that if you encounter mold, take a sample of the beer, and if it doesn’t taste foul, you can skim the mold off [or rack the beer out] with no lasting effect on the beer’s flavor and infections in beer caused by mold are not dangerous. However, the USDA points out that while some molds are beneficial, there are types of mold that cause allergic reactions, respiratory problems and produce poisonous mycotoxins that can make you sick. One such mycotoxin called “aflatoxin” is produced by some species of Aspergillus mold (A. fumigatus and A. flavus), and can be found on grain and groundnuts; aflatoxin is both carcinogenic and can be a deadly toxin in high enough exposure levels. Again, no molds were tested in either case, so until there are more (or any) scientific studies concerning the growth and survival of pathogenic mold species in beer, proceed at your own risk when it comes to mold. One final note to keep in mind about infected beer is that it may not turn out as you originally planned prior to the infection, and you may not personally like the end result or want to tie up your brewing equipment while the beer develops. That said, an infection doesn’t mean the beer is unsafe to drink nor does it mean the beer can’t be saved. If you have the time and patience (and a penchant for sours, depending on your particular infection), you may be pleasantly surprised with the final product. P.S. Join us next time where we’ll wrap up the discussion of how to save a bad batch of homebrew with tips on how to bounce back from a stuck fermentation and how to transform meh beer into a meh-raculous brew. Like this blog? Well, thanks- you’re far too kind. Hi, I’m Dan: Beer Editor for Beer Syndicate, Beer and Drinking Blogger, Gold Medal-Winning Homebrewer, Beer Reviewer, AHA Member, Beer Judge, Shameless Beer Promoter, and Beer Traveler. Interests? Beer. When it comes to homebrewing, some people like the bottling process. Others would rather read the latest proposed changes to income tax law. I fall into camp number two. And I don’t keg. Assuming you don’t have the extra money, interest, space, or time to set up a kegging rig, or if you simply want to improve the efficiency of your current bottling procedure, this guide’s for you. Not to mention, if you only keg but also enter homebrew competitions, anecdotal evidence of side-by-side taste tests suggests that people prefer the taste of bottle conditioned beer over the same kegged beer. Try it and see for yourself. This guide also assumes that you have at least minimal experience with bottling beer, or are generally familiar with the process and the basic equipment required. If not, here’s a guide to bottling 101. And with that, let’s take a look at some best practices for preparing bottles for glorious bottling day. It can be cost-effective and environmentally-friendly to save the empty bottles of store-bought beer for future homebrewing purposes. Once the beer bottle is empty, it’s good to get into the habit of giving the inside of the bottle a quick rinse with water right away to prevent crusty gunk from building up in the bottle. This will save you from having to aggressively scrub the inside of the empty bottle with a bottling brush once bottling day comes. You can usually identify the bottles that you remembered to pre-rinse versus those that you didn’t by holding the mouth of the bottle up to your eye like a telescope, and then directing the bottle towards a light source. The bottles that haven’t been pre-rinsed often have hairy fungus or bacteria growing inside the bottle, which is usually the last thing you want your future beer to come in contact with. Yum. Speaking of re-using the empty bottles of store-bought beer for future homebrewing purposes… Although it’s not necessary to remove the commercial labels from empty beer bottles to make great beer, there are at least six reasons some people do it: (1) When cleaning bottles that still have labels on them, there’s a chance that little pieces of the label can fall off and make their way into the bottle itself (or clog up your dishwasher, if you clean bottles that way), (2) removing labels makes it easier to add your own personalized labels to the bottle if you were so inclined, (3) some people like collecting the commercial labels for various projects, (4) leaving the commercial label on can confuse or subconsciously (negatively) influence people that you’re gifting your homebrew to, (5) some people might perceive leaving the original label on a bottle of homebrew as lazy, tacky, or otherwise showing a lack of pride in your craft, and (6) many homebrew competitions require that labels be completely removed from the bottle. Assuming any combination of the above applies to you, let’s look at a few easy tricks to get labels off. Ideally, you would have removed the beer labels prior to bottling day, but either way, simply soak them in warm or hot water for about 30-60 minutes. This can be done in a clean sink, or better yet a clean plastic bin. Some people like to add a bit of soap, Star San, One Step/Oxyclean or some other similar cleaning product into the soaking water, but really water and time are all you need. Not to mention, using One Step/Oxyclean may leave a milky white film on your bottles, which can be removed by soaking the bottles in a diluted vinegar mixture, but why not avoid the extra work, and simply stick with warm/hot water bath. That being said, leaving bottles soaking in a plastic bin filled with water in excess of a week may leave your bottles smelling a bit funky, and possibly promote the growth of some interesting fungal creatures. While some labels will fall right off after soaking in water, others will require a little extra persuasion. Your best bet is to buy a glass scraper (basically a retractable razor blade with a handle), and use it to scrape the less cooperative labels off. 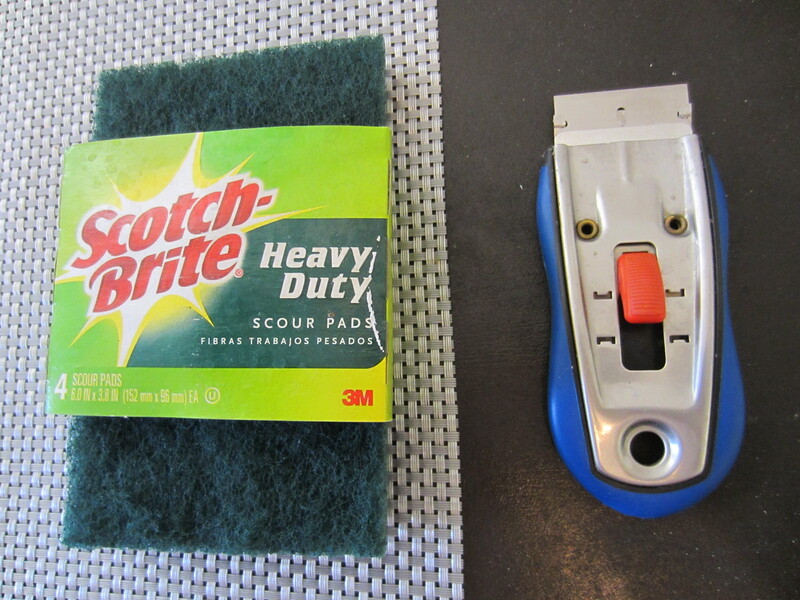 After the labels are off, the remaining glue will usually come right off with the aid of a brewer’s best friend, a little green scrubbie (see image below). For those tough cases involving exceptionally sticky glue (usually found on bottles that have transparent plastic labels), you have two choices: (1) toss the bottle, or (2) you can apply some vegetable oil to a paper towel and then rub the paper towel on the glue on the bottle. The glue will loosen so that it can be more easily scrapped off with a scrapper. If necessary, apply more vegetable oil and continue to scrape the glue off the bottle until the glue is removed. 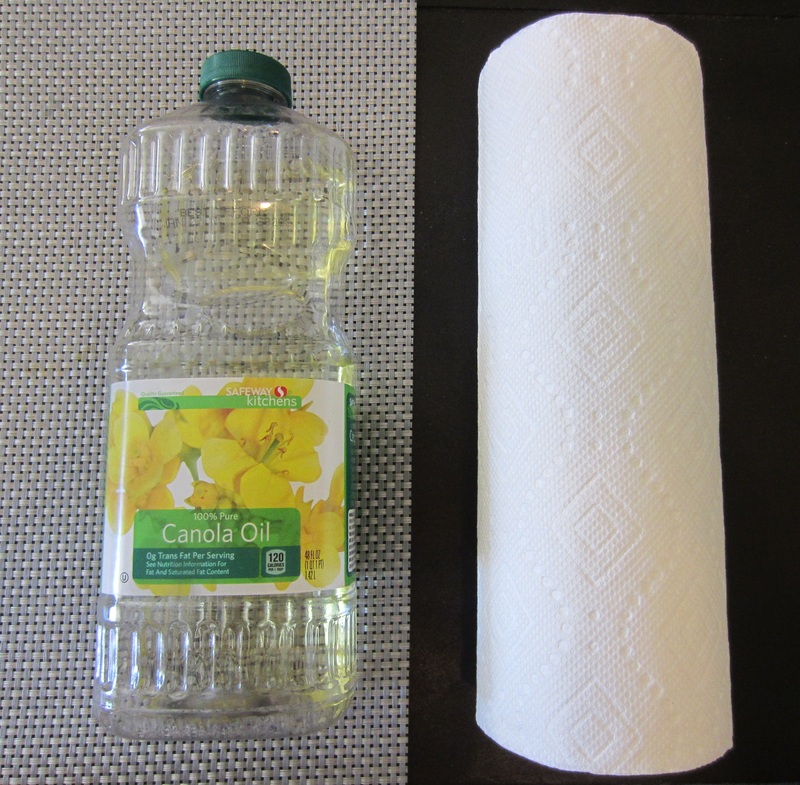 Once the glue is off, wipe off the excess oil on the bottle with a clean paper towel. I’d only recommend this extra step for bottles you are dead set upon keeping, otherwise, it’s probably not worth the effort. While some people like using chemical products like Goo Gone to remove tough label glue, vegetable oil is arguably the more food-safe option. When it comes to cleaning the inside of bottles, one of the cheapest and most useful pieces of brewing equipment a bottling homebrewer can have on hand (in addition to a bottle brush) is a plastic wallpaper tray. You can often purchase one from your local home improvement store (Lowe’s sells them for about $3). Once acquired, pre-rinse the inside and outside of your bottles with water. Mix up a one-gallon batch of One-Step, Star San, or your favorite cleanser/sanitizer, and then pour it into the plastic wallpaper tray until the tray is about ¾ full. Lay four 12 oz bottles down into the wallpaper tray to soak, all facing the same direction. Once you’ve scrubbed the inside of one bottle with a bottling brush, face the bottle in the opposite direction so you know it’s already scrubbed. Remember, Star San is tougher on your hands than One Step, so when using Star San when sanitizing and scrubbing either limit direct contact to your hands to about 30-45 minutes or consider wearing plastic or vinyl gloves. 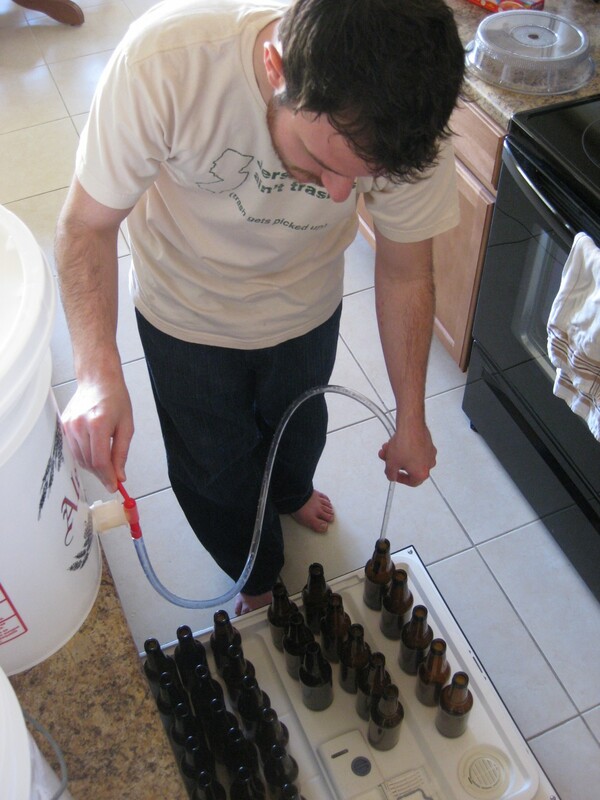 Some homebrewers use a vinator, which is a plastic tool used to spray cleanser/sanitizer into the bottle. There are at least three disadvantages with the vinator: (1) it costs roughly $20 whereas a wallpaper tray costs about $3, but more important than the cost benefit, (2) you can only clean/sanitize one bottle at a time instead of four with the wallpaper tray, and (3) with a wallpaper tray your bottles stay more thoroughly in contact for a longer time with the cleaning/sanitizing solution. First things first, a dish washer isn’t necessary to adequately clean and sanitize bottles, but it can help make your life A LOT easier. Even so, it’s not recommended that you rely solely on your dishwasher to clean your bottles for at least two reasons: (1) the dishwasher won’t scrub the inside of your bottles, and (2) using dishwasher soap can reduce the head retention of your beer and potentially cause your bottles to take on a dishwasher soap character. A) Makeshift Bottling Tree and Bottling Station: If you’ve already cleaned/sanitized your bottles, you don’t necessarily need to run the bottles through a dishwasher cycle. 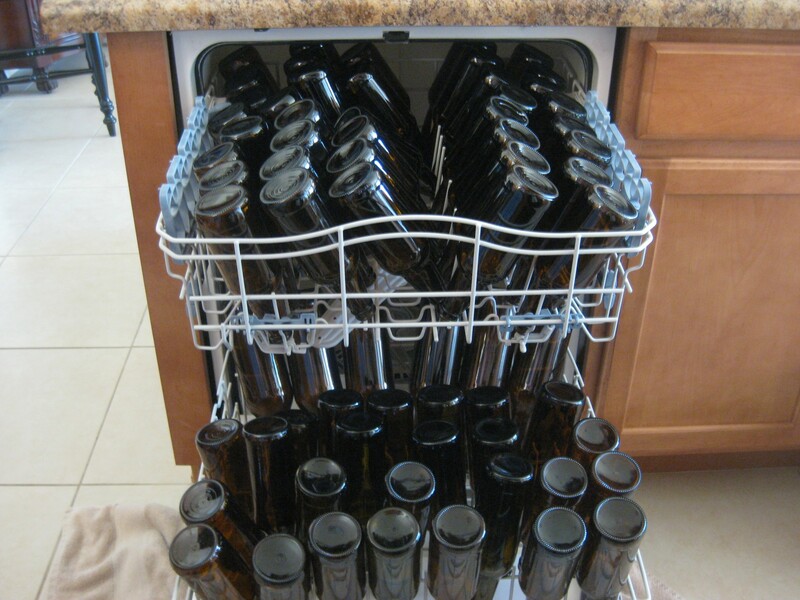 You can instead use a clean dishwasher as a makeshift bottling tree and bottling station. Once your bottles are sufficiently clean, simply place them upside down in your dishwasher (after a clean cycle). And, presto: instant bottling tree which prevents dust or other debris from falling into the inverted bottles. Not only that, the dishwasher doubles as an ideal bottling station: Simply pull the door of the dishwasher open and bottle right on it so that if you spill, the sticky beer spills on the inside of the plastic dishwasher door instead of your counter tops or floors. B) OCD-Clean Bottles: If you’re the type of person who really likes to go the extra mile to ensure your bottles are as sanitary as possible to avoid any potential bottle- borne infections, you can place your already rinsed/sanitized bottles upside down in the dishwasher, and run them through a no-detergent heat cycle in order to better sanitize the bottles with heat. 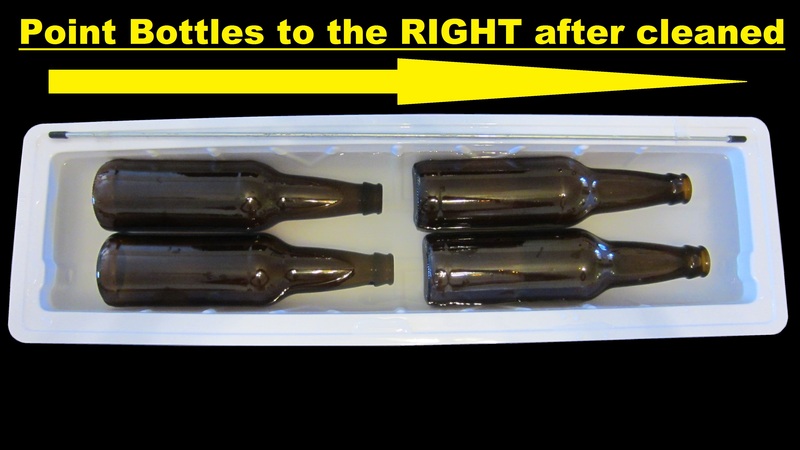 Again, using a dishwasher doesn’t replace the step of scrubbing the inside of the bottles with a bottling brush because the water from the dishwasher mainly will cover the outside of the bottles, and won’t thoroughly get inside the bottles to clean out any bacteria or mold spore deposits. 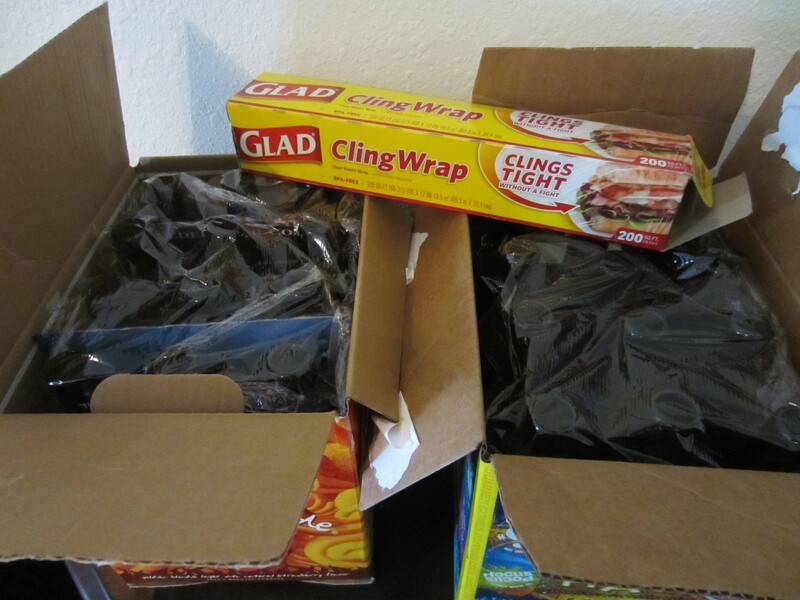 If you’ve already cleaned/sanitized your bottles and don’t want to or can’t bottle right away (especially if you’ve run the bottles through the dishwasher and don’t want to tie up the dishwasher any longer), simply place your cleaned bottles in a box, cover the mouths of the bottles with plastic wrap, and your bottles will stay clean and be waiting for you when you’re ready. Can you bottle beer without a bottling bucket, auto-siphon and bottling wand? Yes. Does this equipment make your life easier on one of the less fun days of the brewing process? You betcha. Here’s the thing: You can use a standard fermentation bucket or carboy and transfer the beer into bottles with some tubing and a funnel, but you are asking for trouble in the form of potentially infecting your beer (assuming you started the siphon with your mouth) and exposing your beer to unnecessary oxidation which can cause your beer to stale sooner and produce papery, wet cardboard (trans-2-nonenal), sweet apple cider notes (2,3-pentanedione), or sherry-like components (benzaldehyde ). The use of a bottling wand not only helps to reduce oxidation, but also allows you to better control the flow and amount of beer going into each bottle. 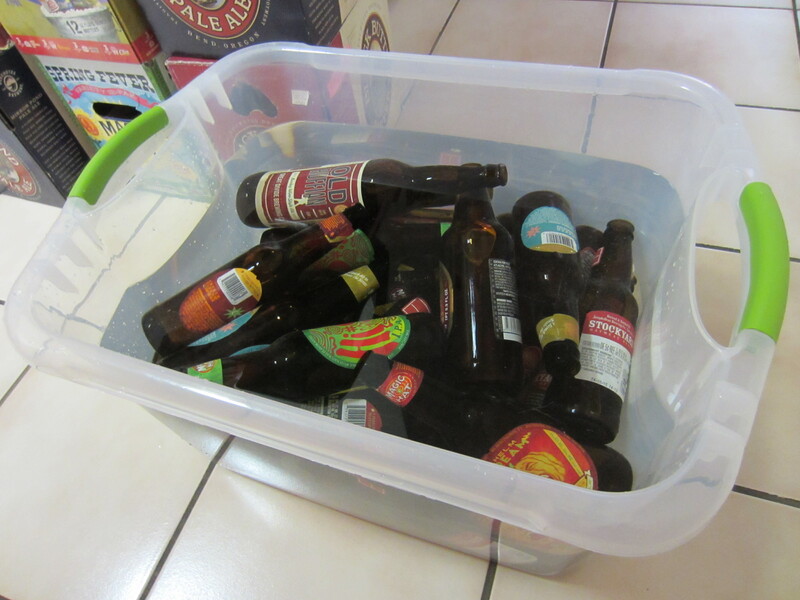 Speaking of not being cheap, don’t be greedy either when it comes to siphoning your beer into your bottling bucket. In other words, while it may be tempting to siphon up every last drop of beer from your fermentation vessel, you also risk sucking up a fair amount of sediment (trub) as well, which will likely find its way into your bottles, and then often into your drinking glass. Not only is excess trub in a beer visually unappealing, it can also contribute to an overly yeasty character in your beer the longer the beer stays in contact with the trub in the bottle. To further manage the trouble with trubbies on bottling day, after you’ve moved your fermentation vessel to wherever you’ll be bottling (ideally a counter top over the dishwasher), allow the disturbed trub in the vessel to settle back down to the bottom of the vessel again for about 30 minutes before siphoning. Most people know the importance of a properly carbonated beer, but not all brewers do it well. Each style of beer has its ideal carbonation level and the best way to achieve that perfect carbonation is by using a free online priming sugar calculator to determine the exact amount of sugar to add when bottle conditioning. Simply input the volume of beer you wish to carbonate, the type of sugar being used, the highest temperature the beer reached post fermentation, and your desired level of carbonation level (most calculators provide recommended carbonation levels depending on the beer style). I like using TastyBrew’s priming sugar calculator because it’s simple, but there are other good ones out there too. 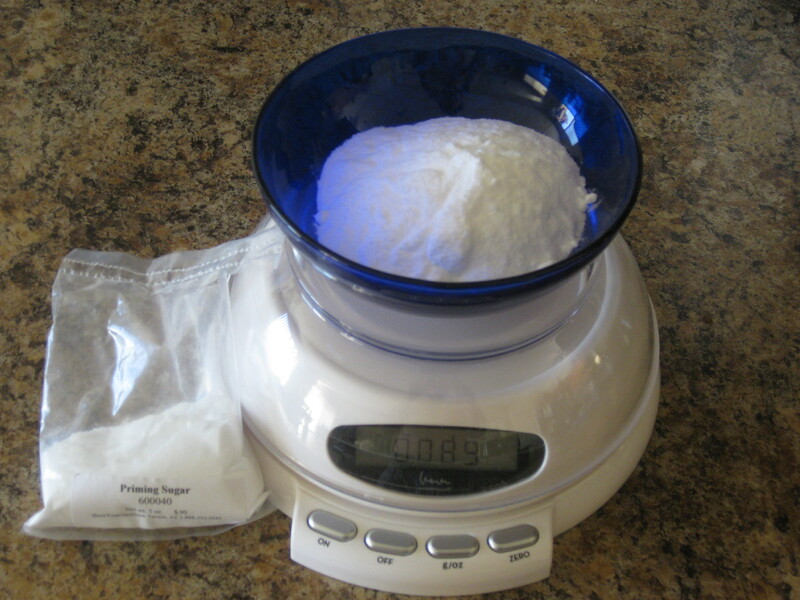 Once you know how much sugar to prime with, use a digital scale to weigh out the correct amount, and it’s easy to switch between ounces and grams especially when you need the kind of accuracy that working in grams provides. A good scale will run about $20 at most big box stores and it’s worth every penny. As for which type of sugar you should use, that is entirely up to you. Different kinds of priming sugars may contribute different characteristics to your beer, including honey, however most sugar sold in your local homebrew shop (U.S.) labeled as “priming sugar” is corn sugar, which is said to be relatively flavor-neutral when used to prime. Table sugar, which is usually cane sugar in the U.S., can reportedly contribute apple cider type flavors/aroma to beer. Whatever sugar you end up choosing, add it to two cups of water in a pan, boil for a few minutes, cool, pour it into your bottling bucket, and add your finished beer. Remember to stir it in thoroughly with the beer with a long spoon. 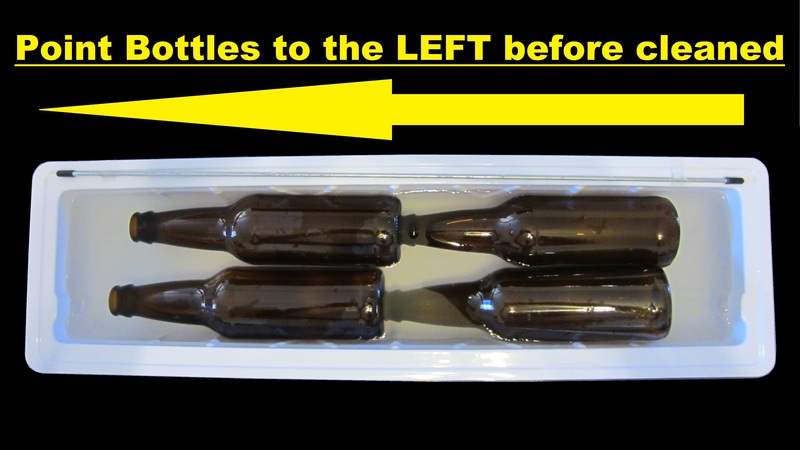 Unevenly distributed sugar in the bottling bucket leads to unevenly carbonated beer bottles which may lead to exploding glass bottles (bottle bombs). Along with measuring the correct amount of priming sugar with a scale and thoroughly stirring that sugar into your bottling bucket, go the extra step and place your bottles in a closed box just in the off chance something went wrong in the bottling process and a bottle was over-primed or the beer hadn’t completely finished attenuating during primary fermentation. According to Crown Beverage (the maker of oxygen absorbing bottle caps), it’s recommended that you sanitize your bottle caps for two reasons: (1) it helps prevent the last thing that comes in contact with your beer from infecting your beer, and (2) getting the caps wet activates the oxygen absorbing effect. Simply place your caps in a sanitizer solution like Star San for about two minutes, and then rinse the caps off with tap water if you like. Only sanitize the caps you plan on using immediately because once the oxygen absorbing barrier becomes wet, it will eventually lose its ability to absorb oxygen. Also, do not boil your bottle caps on the stove or heat them in the oven as this may cause the gasket insets in the cap to become defective. While sanitizing your bottle caps is recommended, leaving metal equipment like a bottle capper, bottling brush, or bottle caps in cleaning solutions like One Step or Star San for a prolonged period of time may cause the metal to rust. Even though rust from your bottle caps probably won’t get into your beer to create a metallic taste, you might as well avoid the possibility by only soaking your bottles caps (and any other metal equipment) in your cleanser/sanitizer solution for no more than 10 minutes. That said, we recently tested a few Crown Beverage bottles caps by placing some in Star San and others in One Step for seven days, and no rusting was detected even when removing the caps from the respective solutions. Your mileage may vary. A) While you can use bleach to sanitize your brewing equipment including glass bottles, bleach can corrode steel, copper, brass, and aluminum and get absorbed into plastic if exposed to either for more than 15 minutes. This is why some brewers prefer using a more practical sanitizer like Star San which won’t damage any of your brewing equipment, and also doesn’t require a rinse after using. B) But back to the original point: while I’m all about sanitation, recommending that brewers must boil (then cool) tap water used for rinsing out bleach (or some other cleaning solution) because of the idea that tap water is allegedly the number one case of spoiled beer, seems a bit excessive. Of course this may also depend on the country in which you live. According to the U.S. Center for Disease Control and Prevention (CDC), it’s safe to drink the tap water in many countries including the U.S., Canada, U.K., Australia, and New Zealand (sorry South Africa). If the tap water is safe to drink, then it’s probably okay to rinse the remaining cleaning residue out from the inside of your bottles with tap water. Even though the tap water is safe to drink and will most likely not cause an infection in your bottled beer as the beer itself already has preservative features such as alcohol and usually hops, it may still be a good idea to rinse the tap of your faucet with Star San. Or, better yet, sidestep the issue and simply use a no-rinse cleaner or sanitizer to clean your equipment like One Step or Star San. If you’re curious about which countries have safe tap water and which do not in case you ever plan on travelling or homebrewing abroad, here’s a nifty infographic created by NeoMam Studios— or you can just click on page 2 of this article below. (Spoiler alert: no countries in South America or Africa made the safe tap water list). Have any helpful bottling tips of your own? We’d love to hear ’em and other bottlers would too, so feel free to comment below. THE CRAFT BEER QUIZ: How Well Do You Know Your Craft? First we tested your Beer IQ with THE BEER QUIZ. Next we put homebrewers to the test with THE HOMEBREW QUIZ. And now we come to the end. How well do you know your craft? Find out with THE CRAFT BEER QUIZ. Just like before, there are three levels to The Craft Beer Quiz: Normal, Challenging, and Hard. It’s recommended that you warm up with the Normal Craft Beer Quiz, and then proceed from there. Hi, I’m D.J. Pander. I like beer. I also blog. 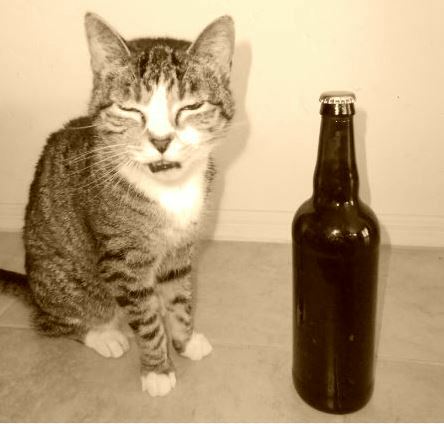 Have you ever sniffed a beer and could swear you detected that unmistakably pungent aroma of cat pee? How about butter? Or maybe you’ve tasted something metallic in your beer half-expecting to find a rusty penny resting at the bottom of the glass? The good news is commercial brewers aren’t actually adding butter, pennies, or cat pee into your beer. The other good news is that you’re not crazy. As a matter of fact, “buttery”, “metallic”, and “catty” (a.k.a. “cat pee”) are all well-established adjectives used in evaluating beer, and all of these beer descriptors originally appeared on research chemist Dr. Morten Meilgaard’s Beer Flavor Wheel back in the late 1970s. 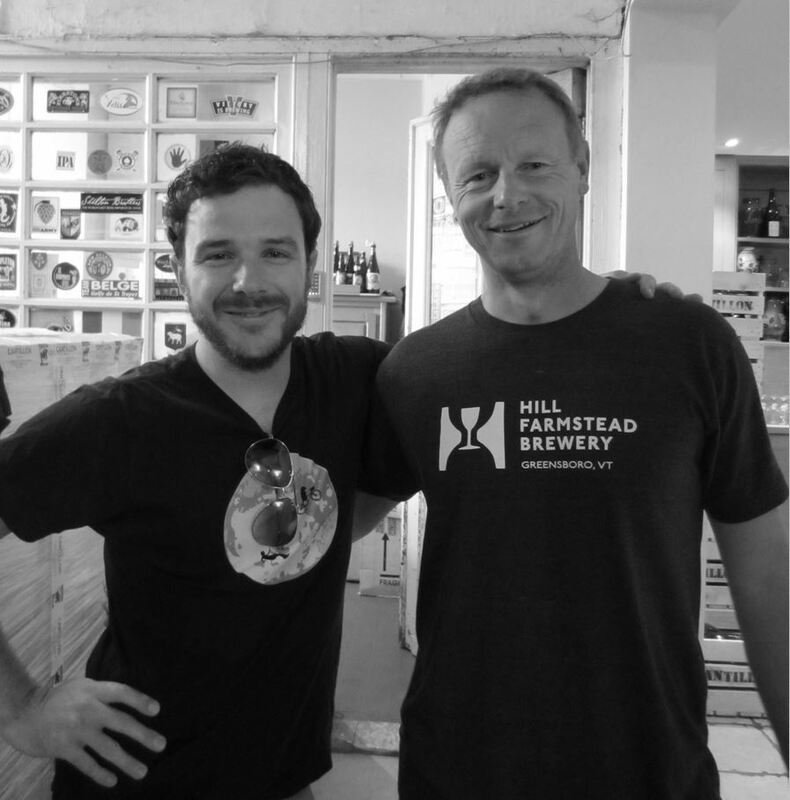 But the truth is, the more that you’re exposed to all the variety that craft beer has to offer, the more aromas and flavors you’ll come across that don’t necessarily fit neatly into Meilgaard’s wheel. And it’s precisely at these times when you have to rely on your own sensory experience of things you’ve encountered outside the world of beer to help you better describe and relate to what’s going on with your beer. Arguably, the more experience you have smelling and tasting different things coupled with the ability to recall such sense data, the better beer evaluator you’d be. With that in mind, here are some of my favorite beer descriptors that people have used when talking about characteristics found in beer. 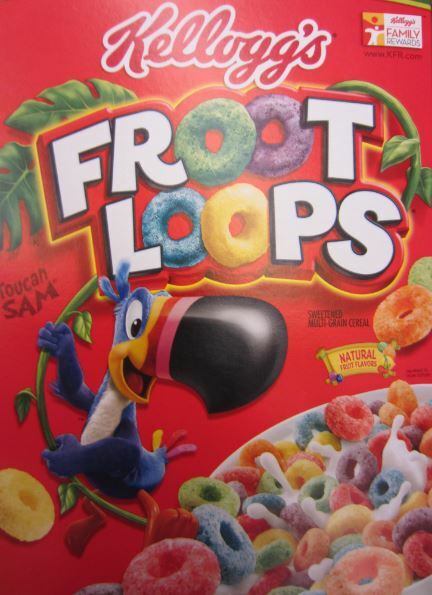 Fruit Loops: Sometimes it pays to know your breakfast cereals. Trying to describe the aroma of Leinenkugel’s Sunset Wheat is one of those times. In some beers, you might run into a character of Grape Nuts, Wheat Chex, Rice Krispies, Honey Smacks, Kix, Apple Jacks, Raisin Bran, or Corn Flakes, but the aroma of Sunset Wheat is without a doubt Fruit Loops. Saladito: Yes, the character of this salted dried plum “candy” popular in Mexico, but invented in China, can be found now and again in beer profiles. 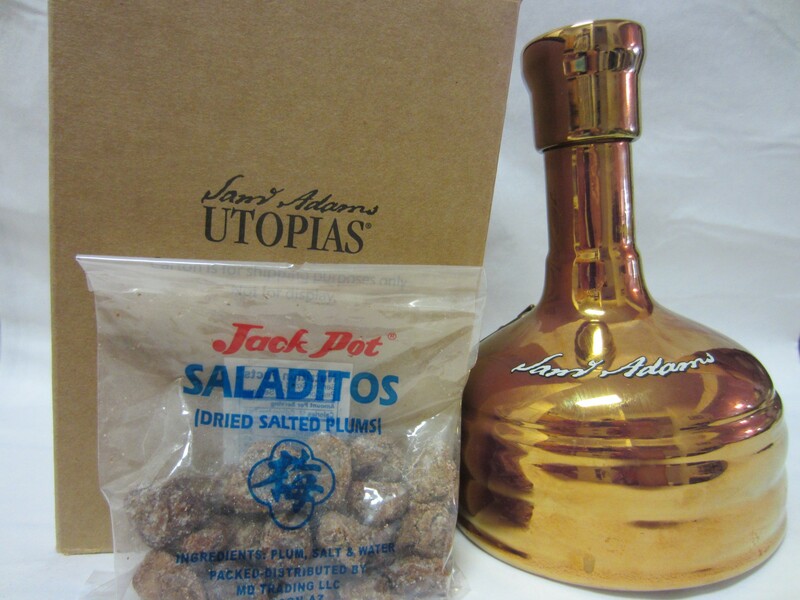 The last time I encountered it as a flavor component was in a 2013 bottle of Samuel Adams’ Utopias (although not nearly as salty as a saladito). Other flavor notables for that bottle were Madeira, tamarind, port, barrel, vanilla, cherry, dates, prunes, raisins, molasses, mincemeat, and at 27% ABV, of course alcohol. You might also find a bit of saladito in the flavor of a Fullers ESB. Cream Soda: Although more often a color descriptor than a typical aroma or flavor element, Innis And Gunn’s Oak Aged Beer displays a cream soda character quite well in the aroma along with butter cookies and a hint of butterscotch. You might’ve also picked up some cream soda in George Killian’s Irish Red or in Leinenkugel’s 1888. Canned Asparagus: Probably not an aroma or flavor component the brewer is shooting for, but it’s out there. Back in July of 2007, Santa Cruz Mountain Brewing’s India Pale Ale exhibited this rather unique character in both the aroma and flavor. It’s been a while since then, so maybe the asparagus factor in that beer is a thing of the past. 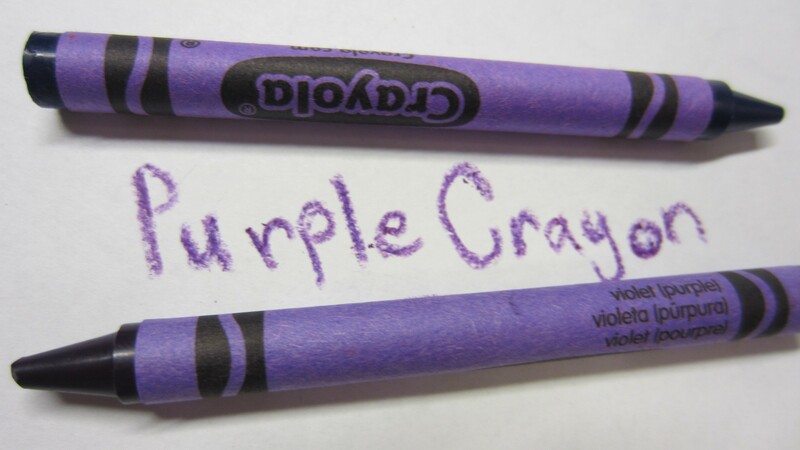 Purple Crayon: Rare, but the semi-sweet, waxy, faintly papery aroma of Crayola purple crayon came up in Phoenix Ale Brewery’s version of a Bière de Garde called Keeper! (Get it… Bière de Garde means “Beer for Keeping”. Yep.) You might also sense a bit of purple crayon in Mammoth Brewing Company’s Double Nut Brown. Candy Corn: Being familiar with a variety of candy will come in handy when describing beer. Notes of Pixy Stix, Smarties, Jolly Ranchers, Sweet Tarts, Wax Lips, and Juicy Fruit gum have all come up depending on the beer. 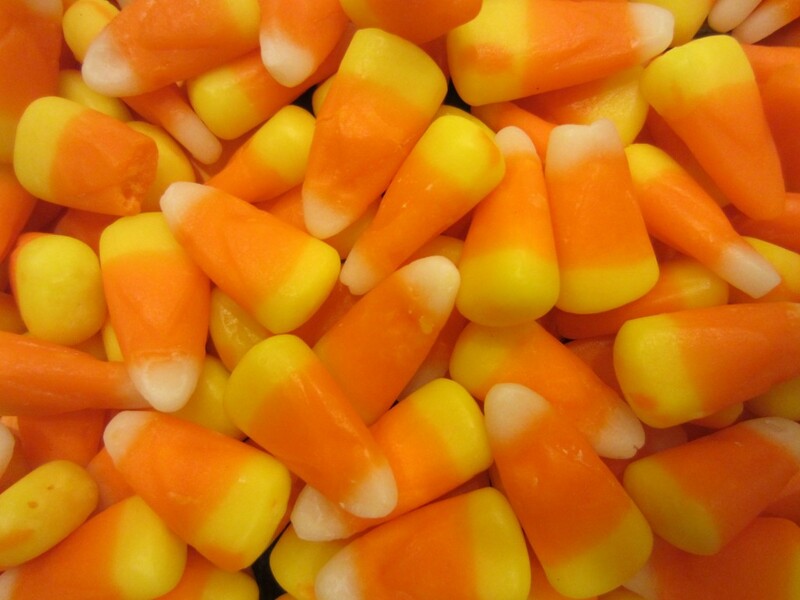 Candy Corn in particular can be detected in the aroma of Newcastle’s Bombshell along with notes of butter squash and buttered Triscuit or Saltine Crackers. A hint of candy corn appeared as a flavor component in a bottle of Celis Grand Cru. Tootsie Roll: Speaking of candy, the character of Tootsie Roll also pops up from time to time in beer. You might be able to pick it out in the aroma of Alba Scots Pine Ale (Williams Brothers Brewing), Moylan’s Celts Golden Ale, New Belgium’s 1554, or Leffe Brune. Some people have noticed Tootsie Roll in the flavor of Southern Tier’s Phin and Matt’s Extraordinary Ale. 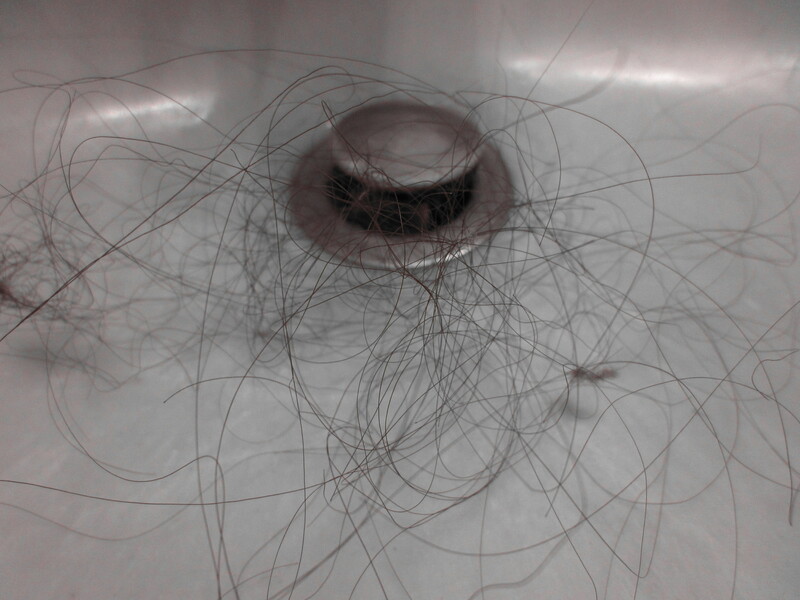 Hair in a Drain: Unless you suffer from trichophagia (the compulsive desire to eat hair), you probably don’t find the aroma of hair in your beer all too desirable. Depending on the beer, you might detect the more tolerable wet hair or “hair salon” scent, or the more intense permed hair or hot hair in a curling iron character in the nose. I won’t point out any specific commercial offenders of the hairy variety (often American wheat beers), but you’ll know it when you smell it. Chocolate Pudding Skin: You know that thin layer that forms on the top of chocolate pudding after a while? That’s pudding skin and it’s noticeable in some chocolaty types of beer including Boulder’s Shake Chocolate Porter, or in the flavor of Shock Top’s Chocolate Wheat which also displayed a watery Yoo-hoo character— think chocolate milk where the milk was substituted out for water, like Swiss Miss or Ovaltine plus water. Dry Dog Food: A Brazilian friend of mine came up with this quasi K9 analog of “cat pee” beer descriptor at her very first beer tasting event, so I can’t take credit for it, but it was spot-on when she pointed it out. The beer in question that evoked this seemingly impolite descriptor was from a batch of Trader Joe’s 2014 Josephs Brau Winter Brew (Doppelbock). Other people picked out brown sugar coated Spam, pine wood, paper mache, and hints of Disaronno. Give it a try; see if you get a whiff of Kibbles ‘n Bits. Have you come across any interesting beer descriptors over the course of your beer adventures? Feel free to add a few in the comment section below! Like this blartical? Well, thanks- we appreciate you! Hi, I’m Dan: Beer Editor for BeerSyndicate.com, Beer and Drinking Blogger, Gold Medal-Winning Homebrewer, Beer Reviewer, AHA Member, Beer Judge, Beer Traveler, and Shameless Beer Promoter. At one point or another, all beer was native. It was regional. Indigenous. Communal. Domestic. 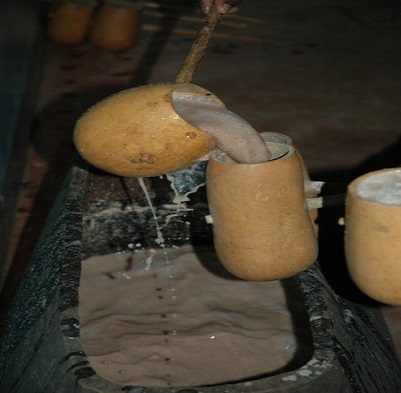 Nearly all cultures have their own version of beer based on whatever grain was around in the area at the time. In Asia it was often rice, in Europe barley or wheat, millet in Africa, and in the Americas maize was common. The only universally consistent components found in beer were grain, water, yeast and/or bacteria. The widespread use of hops in beer is only a historically recent occurrence beginning in about the 11th century in Europe, which is partly why hops as an ingredient is not typical seen in indigenous beer around the world. And with the craft beer renaissance in full swing at least in the U.S., don’t be surprised if you happen across one of these exotic brews in the near future as modern brewers rediscover native beer. Dogfish Head already did a take on at least one of the old school brews below, but the truth is that you don’t have to wait for Dogfish Head to revive these not so well known brews— some of these traditional beers are so user-friendly, you could make them in our own home today! First we’ll look at an old Slavic beer, then jump over to the New World for a few native treats, and finally swing back around to Africa to check out some tribal beers. Or you can do a choose-your-own-adventure tour and skip to whatever region interests you most by clicking below.